We Buy/Sell Gaylord Boxes NE. We sell corrugated cardboard and gaylord boxes everywhere in Nebraska from Sioux City to McCook, and everywhere in between. If you are in need of lightly used gaylord boxes we would be more than happy to accommodate you. 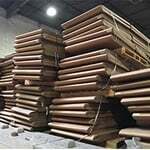 If you are looking to dispose of old corrugated cardboard boxes, look no further. We offer a complimentary corrugated cardboard and gaylord box recycling service to properly dispose of all of your unwanted boxes. We are also in the business of purchasing lightly used gaylord boxes. If you have lightly used gaylords that you would like to move, simply complete the box seller form, and we will be in contact with you shortly. Used 48″ x 38″x 51″ Gaylord Boxes – 4 Walls – Omaha, Ne. Used 36″ x 38″ x 40″ Gaylord Boxes – 3 Walls – Lincoln, Ne. We are pleased to announce that we can now service all of your boxing needs in the state of Nebraska. 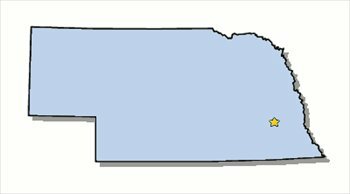 We have established connections in the cities of Omaha and Lincoln but would like to establish partnerships in Grand Island and Kearney. Historically we have had success finding high quality 2 ply and 3 ply boxes in Nebraska, and are hoping to find even more moving forward. We are constantly looking to establish new partnerships, and service new customers. 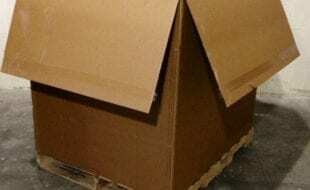 One of our most enticing offers is our complementary used cardboard and gaylord box removal. We will happily pick up all of your unwanted cardboard bales or corrugated boxes free of charge. On top of that, if you are looking to sell your gaylord boxes, we will happily purchase them from you. However, they must be in either grade A or B+ condition. If there are not any listings that fit your current boxing needs, simply complete the box buyer form at the top of this page, and we will promptly have your request sourced. We look forward to doing business with you!